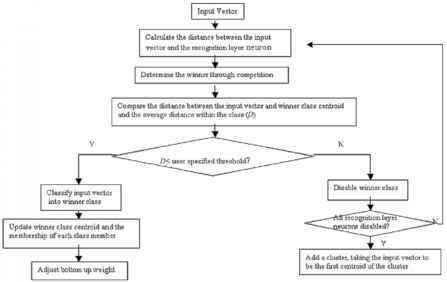 Figure 6.2: Adaptive fuzzy leader clustering (AFLC) implementation flow chart. The above nonlinear relationships between the ith centroid and the membership value of the jth sample to the ith cluster are obtained by minimizing the fuzzy objective function in Eq. (6.18). Figure 6.2 shows the flow chart for AFLC implementation. AFLC has been successfully applied to image restoration, image noise removal, image segmentation, and compression [13, 31, 32].